41 years ago this month, one of Britain’s biggest peacetime explosions ripped through the Nypro chemical plant at Flixborough near Scunthorpe. 28 workers died, the plant was destroyed, extensive damage was done to surrounding homes, but its legacy enhanced industrial safety. Spill Control Centre recalls one of Britain’s biggest peacetime explosions and the history behind it. More than four decades after what was, at the time, the largest-ever peacetime explosion in Britain, chemical engineering students are still taught the lessons learned from a summer Saturday afternoon catastrophe. 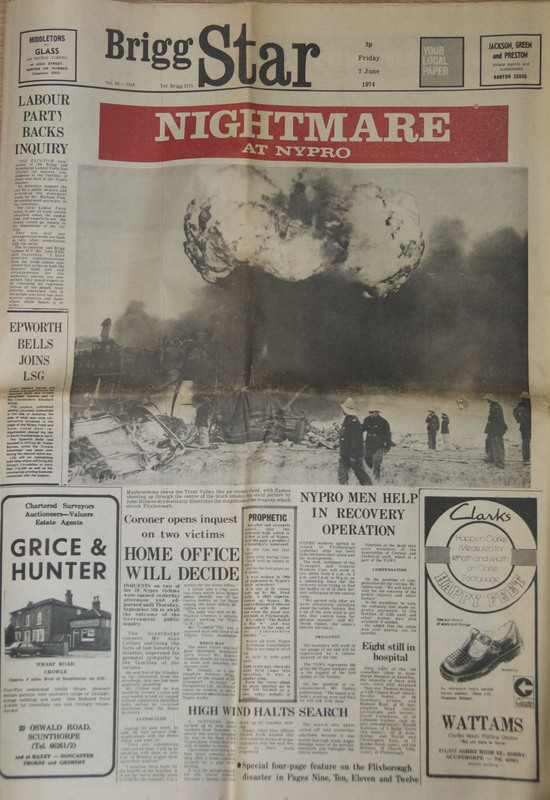 The event was the Nypro explosion, which happened at Flixborough on the banks of the River Trent in North Lincolnshire just before 5pm on Saturday 1st June 1974. It claimed the lives of 28 people, and many more suffered personal injuries. The death toll could have been much higher, but because the explosion took place on a Saturday, the offices were unoccupied when they were flattened by an exploding cloud of cyclohexane gas. What caused the Nypro explosion? The Nypro explosion happened because a temporary pipe, on a chemical plant making material to produce nylon, had been fitted to by-pass the space occupied by a large reactor vessel that had been removed for repair. When a flexible bellows next to the temporary pipe failed, it allowed the cyclohexane, boiling and in many respects similar to petrol, to escape. This ignited causing the explosion. By March 1975 the financial cost had risen to £24m and involved about 6,000 public liability insurance claims, but by the end of that month 96% of house repairs and rebuilding had been completed. That was a significant exercise; out of 912 properties in just three surrounding villages, a mere 123 escaped damage. A further 780 were damaged in Scunthorpe, almost four miles away. “Rotarian Jack Jill was President of the local builders’ organisation, and raised the problems of cash flow with which they had to contend during the hectic summer of 1974, and the dilatory approach of the insurance companies, especially during a period of high inflation. The explosion gave the world safety lessons it still heeds today, not only in chemical plants but also in other processing industries including oil, gas, and pharmaceuticals. Nypro’s response to the situation won over the residents of Flixborough village, its nearest neighbours. 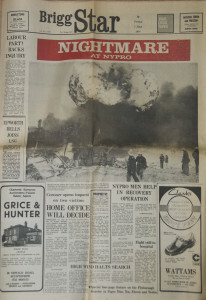 In June 1974 the local evening paper carried the banner headline: ‘Flixborough says ‘never again’, Nypro’. By June 1975 that had changed to: ‘Flixborough gives massive yes to Nypro rebuild’. This entry was posted in Disasters and tagged flixborough, nypro on June 1, 2015 by neil.stocks. Invisible hazards like the Ebola virus require containment solutions of the best standards, as proved when a nurse in America popped out for takeaway and caused an Ebola emergency when she was in quarantine suspected of suffering from the disease. It’s almost too easy to think of ‘spills’ as relating to industrial and chemical processes where the results are easy to see; where containment and clean-up efforts have a visible result. But a more effective use for them is where the contaminant is an invisible killer. And what better example of that could there be than Ebola’s deadly sweep through the populations of West African countries? That’s when a significant amount of trust has to be put in the design and manufacturing integrity of the products available to aid workers, and the way they’re used in the ‘danger zone’. The role of spill control products there has had to be 100% reliable so that aid workers could rely on them utterly in the battle to stop the spread of a virus with no known cure. Of course the role in those circumstances was less about spill cleanup and more about containment, perfectly illustrating the ‘dual role’ of the poly overpack. Taking part in that fight is American manufacturer Enpac, whose products are available in the UK through the Spill Control Centre. The company’s products were used in America when a doctor working for one of the country’s major television stations is said to have broken quarantine restrictions to go out for takeaway food in Dallas, Texas. She had recently returned from West Africa where she had been in contact with a cameraman infected by the virus. What is a poly overpack? ‘Overpack’ is a term applied to anything from a cardboard box to a bag carrying two or more boxes or packs of something else. A poly overpack is a robust container made of polyethylene that can be used for containing waste products like sludge, chemicals, acids or even waste parts. But it would be wrong to think of it simply as an upmarket plastic dustbin. Poly overpacks, or overpack drums, of the kind made by Enpac at Eastlake near Cleveland on the shores of North America’s Lake Erie for the last two decades, are much more robust. They conform to a number of United Nations and American standards – UN 1H2/X295/S, UN 1H2T/Y295/S – as well as US Code of Federal regulation DOT 49 CFR 173.3 (c). Those standards also include tight-fitting lids as appropriate, and allow the products to be called salvage drums, representing the highest-standard of overpack. How big are poly overpack drums? How big do you need them to be? We incorporate them into spill kits to hold up to 41 litres of fluid (where their ‘overpacking’ role includes a range of absorbent products to help with more conventional spill cleanup), but they can go up to the huge Poly Overpack 600 version, taller than a man, and capable of holding almost 2,300 litres of material. In the mid-range we offer a 95-litre version equipped with integral wheels to make moving it simple and safe. The range is sure to include one that’s perfect for your needs. This entry was posted in Disasters, Spill Containment and tagged Ebola, Enpac on April 30, 2015 by neil.stocks. Winter is on its way. With it will come the potential for more flooding, even for those of us who don’t live in one of the one in six English properties already at risk of flooding. Last winter was the wettest we’ve endured for 250 years, and experiencing a flood was common up and down the land. Despite the fact that we are at the start of November I was struck by just how good an Indian summer we’ve had this year when I saw, out for a walk in a Lincolnshire village, a man wearing t-shirt, shorts and flip-flops. He wasn’t behaving oddly; he was dressed to suit the weather. And yet it was November 1st. Four days before bonfire night, when those of us who do venture outside are accustomed to wearing thick coats, hats and gloves. But it’s best not to be fooled. Only 48 hours later I left the house for an early-morning meeting, and had to scrape a little frost from the windscreen. 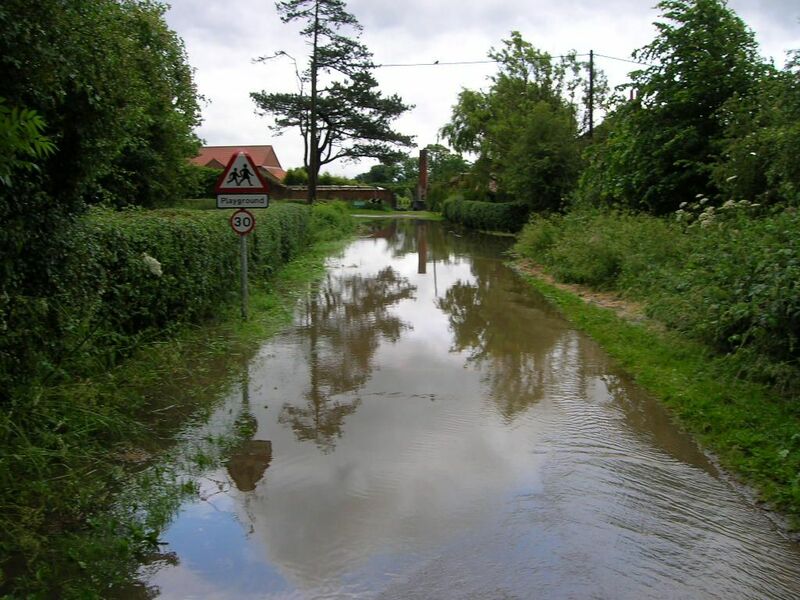 The Environment Agency is in the midst of a campaign, running until November 16th, “Floods Destroy. Be prepared.” to make us all more flood aware, and to take steps to protect our families, homes and businesses. We’d like to add some of our own advice to that list. • Prepare a flood plan and a kit including waterproof clothing, portable radio, torch, batteries for both, important documents like passport, driving license and insurance policies, blankets in waterproof wrapping (those vacuum under bed storage bags are ideal), non-perishable food, and your mobile phone and charger. • And finally, think about the more vulnerable people in the community, and be ready to help them as well. View our range of water absorbent products to assist you in your response to the risk of flooding. This entry was posted in Disasters and tagged flood, prevention, safety on November 13, 2014 by neil.stocks.